If you're a teacher, then I'm sure you've heard of Thirty-One. If you haven't then you're missing out on the world's most loved bags! Let's be honest every teacher loves a good bag! 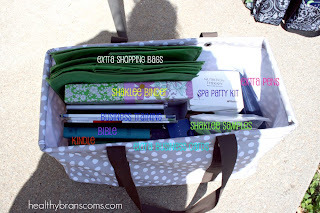 It's the organizing utility tote- do you have one?? It hasn't been delivered yet, but I hear it makes the perfect teacher bag! 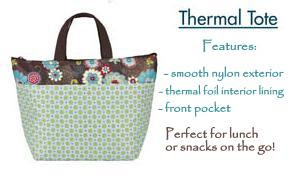 I also adore the large utility tote because it has metal trim and remains open and upright. And the lunch bags are precious too! I see tons of them daily in our teacher's lounge. They're insulated and super easy to clean- so I've been told. Have ya'll seen the NEW prints for fall? They just came out 2 weeks ago and you've gotta see 'em! The owls are ten kinds of precious!! And the natural burlap- so.chic. for fall! 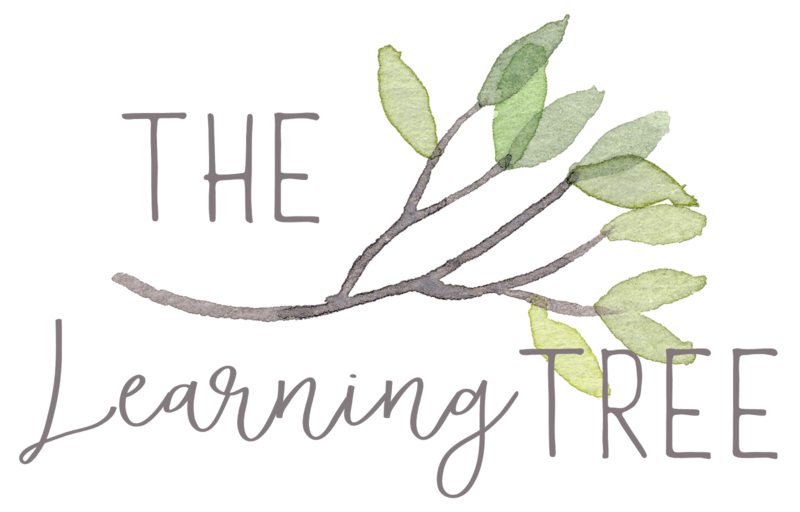 I'm throwing a thirty-one party for my readers! Spend $31 and get 31% OFF! 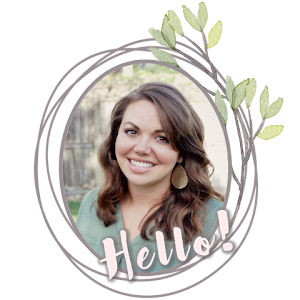 But you have to order through my blog party to get the deal! Click the picture below to flip through the catalog and place your order! Your friends and fam can order too! Once you find the bag style you like, select it and then choose your fall pattern. I'll close out the party on Monday the 24th! Happy Shopping and better yet, happy saving my friends!! Leave me a comment- I'm dieing to know which bag/print is your fav! 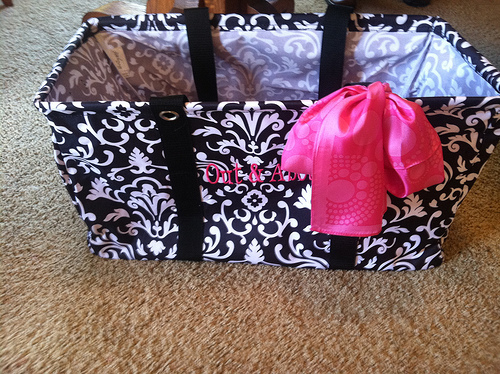 I would love to have you be my rep for my Thirty One giveaway, Kimberly! It ends on the 21st so I will get the info from the winners asap. I will even have to do some shopping of my own! 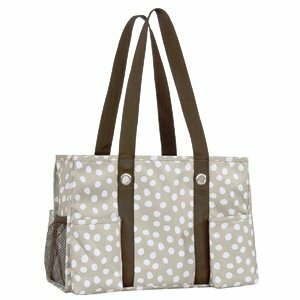 I have and love the large utility tote in the greige with white dots. Those owls are adorable! But I am kind of a black and white girl! Our orders come in on the 18th!! woo-hoo! Did you use the same consultant I had for my party? Hey, side note, how do we find out who won your giveaways? I can't for my bag!! If you go back to the giveaway rafflecopter, it should show you the name of the winners. (thanks for playing BTW) And yes, I used your girl- she's so sweet! I am hosting a 31 gifts party at my school. It's the perfect time of year for the new catalog! I am LOVING the Super Organizing tote. It's like the organizing tote, but zips closed!! I just bought an organizing utility tote and I love it! The big old heavy bag I used to carry is now very light weight and fantastic! Love my 31 bag! What an amazing tote! So cute! I love 31! A parent got me a big colorful tote last year as an end of year gift and I just ordered one for a colleague.